Mercedes have revealed the UK release date of the new X-Class pick-up truck. Back in July 2017, Mercedes announced the X-Class as their first ever pick-up truck concept and the first premium pick-up ever. Coupling luxury with practicality, the X-Class comes in three lines: POWER, PURE and PROGRESSIVE. The PURE line is the most basic of the three, with the PROGRESSIVE line introducing better equipment and more features, and the POWER line being highest tier. Mercedes, which has just been crowned ‘Most reliable manufacturer’ is the FN50 reliability survey, wants to bring style and comfort to the pick-up class. With the high level of specs on offer across all three lines, we don’t think we’ll be disappointed. 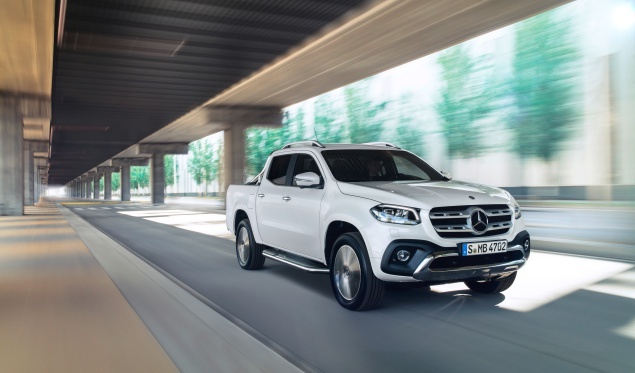 Every version of the X-Class will be double cab only and come with 4MATIC all-wheel drive plus a whole host of safety features, including an anti-theft protection package and reversing camera. The 2.3 litre, four-cylinder turbodiesel engine comes in two versions – the X 220 d offering 163hp and the X 250 d offering 190hp. The X-Class will hit the market in January 2018 and is available for pre-orders now. Prices start from around £27,000. Next page: When is the cheapest time to buy van insurance?